It’s official! ACI World‘s latest airport traffic rankings position Atlanta Hartsfield-Jackson squarely in the #1 position, handling more than 107 million passengers in 2018. See which other airports filled out the top 20 on page 1. In more airport rankings, Routesonline reports the busiest air routes in the Americas, and the winner once again is the connection between Mexico City and Cancun, with about 4.87 million passengers. Trailing by nearly one million, the route between Rio de Janeiro and Sao Paulo takes the #2 spot with 3.9 million passengers. 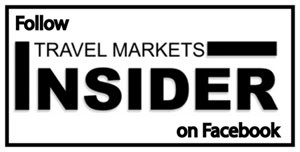 See the rest of the top traveled air routes in the region on page 2.
International Brand Builders Inc (IBBI) is focusing on innovation this year, and IBBI President Katherine Sleipnes says she is bringing new collections and new brands to her “affordable luxury” portfolio. The highlights this year cover jewelry with a message (Infinity & Co.) , premium hi-tech wallets (Tru Virtu), protective eyewear (B+D), scarves and sarongs (Morgan & Oates), and fashion watches (Lambretta and Tick & Ogle)- all geared to appeal to an Americas market. Page 3. Starboard Cruise Services has revealed another stunning retail showcase, this time inspired by Italian flair onboard Costa Cruises brand new Costa Venezia, the first ship custom-built for Chinese travelers. Among a lists of firsts, Costa Venezia is home to the largest beauty space ever offered at sea, says Starboard. Page 5. Disney Cruise Line has signed a preliminary agreement with the government of The Bahamas to develop a cruise port and entertainment facility in Eleuthera. The terms of the partnership stipulate land, employment, business opportunities and access for Bahamians. More details on page 5. Edrington Americas Travel Retail teamed up with MSC Cruises to execute a high-visibility tasting bar activation on the new MSC Seaside to promote its travel-retail exclusive The Macallan Quest Collection. Page 4. A Carnival Cruise Line bartender, Sanja Cvijetic, was the winner of the Bacardi Legacy Cruise Bartender of the Year 2019 last month, and will now go on to compete against 38 domestic market winners for the overall global title in May. Read more on page 2. The Seatrade Global Cruise event is coming in April and returns to Miami Beach after three years in Ft. Lauderdale. The PPI Group, publisher of Porthole Cruise magazine, is hosting the official after-party of the event, which attracts many of the top names in the industry. Page 1.